'Seoul Sensation'은 혁신대학 미네르바의 재학생들이 직접 큐레이션, 기획, 운영하는 팝업 전시회로, 로컬 아티스트들과의 협업 및 아티스트의 다양한 감각와 매체를 통해 그들이 인식하고 있는 '서울'에 대해 탐구합니다. 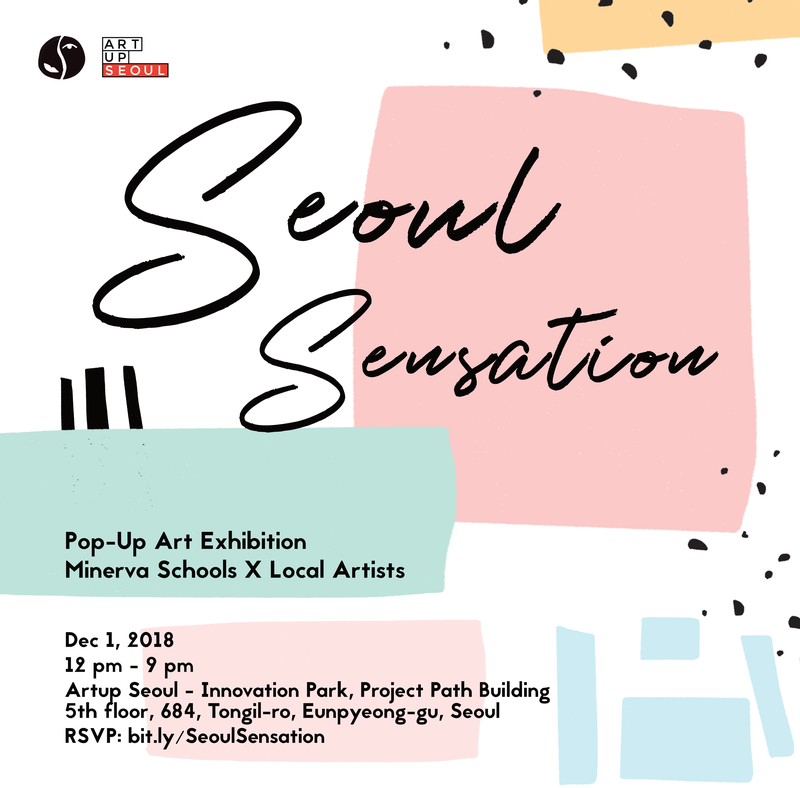 ‘Seoul Sensation’ is an international collaborative pop-up art exhibition produced and curated by Minerva university students (See Minerva Schools at KGI). The exhibition will take place at ArtUp, Seoul, on December 1st, 2018. In collaboration with local artists, Minerva students will get to investigate their perception of Seoul through multiple senses and diverse range of mediums; an exploration that will result in an immersive display of perspectives and human interactions.